I said, LORD, be merciful to me. Heal my soul, for I have sinned against You. Be merciful to me, O Lord, for I cry to You all day long. The Lord is merciful and gracious, slow to anger, and abounding in mercy. Blessed be the God and Father of our Lord Jesus Christ, the Father of mercies and God of all comfort… Blessed are the merciful, for they shall obtain mercy. Therefore be merciful, just as your Father also is merciful. 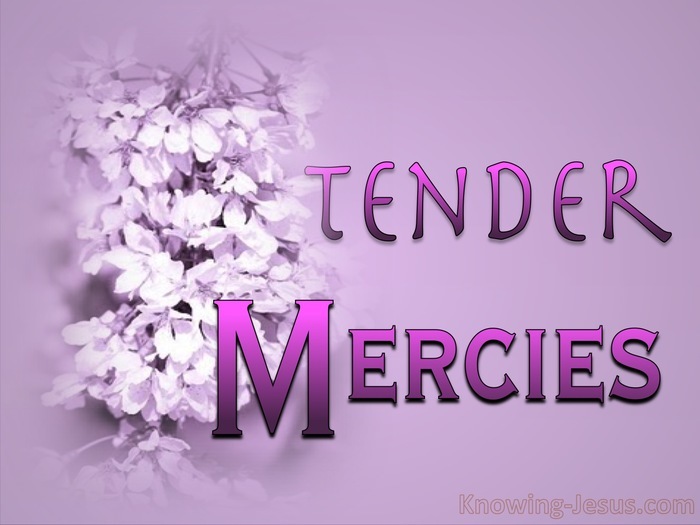 Paul tells us in Colossians 3.12 therefore, as the elect of God, holy and beloved, put on tender mercies; kindness; humility; meekness; long-suffering. What is man that You are mindful of him? What is man that You should You visit him? What is man that You should exalt him? What is man that You should set Your heart on him? What is man that he could be pure? He knows our frame; He understands how much we can bear; He remembers that we are but dust. He strengthens us through the burdens we carry. He trains us through the daily round, and He binds up our aching heart. By His mercies He holds back the temptation’s seductress, and the icy fingers of sickness and death. By His mercies He nourishes the hungry and binds up the broken-hearted, lest we be crushed and brought down in failure and swallowed up by grief. Yet the cold wind of adversity is permitted to blow on the children of God. He ordains the biting wind of criticism to deeply wound us – the east wind of indifference to cut us to the quick, in order to quicken our sympathy toward others – in order to mature in us His tender mercy and loving-kindnesses. His mercies are new every morning. They plunge the depths of our insecurities.. they minister to the deepest wounds of our souls. I will sing of the mercies of the LORD forever. With my mouth will I make known Your faithfulness to all generations. 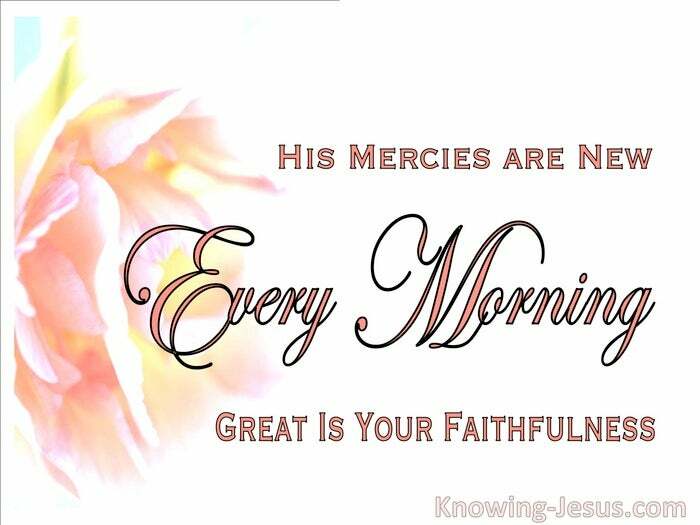 Psalm.89:1 Moment by moment I see new mercies… Great is His faithfulness.